Watch the sun rise over Lake Meadow from your private lake front dock. 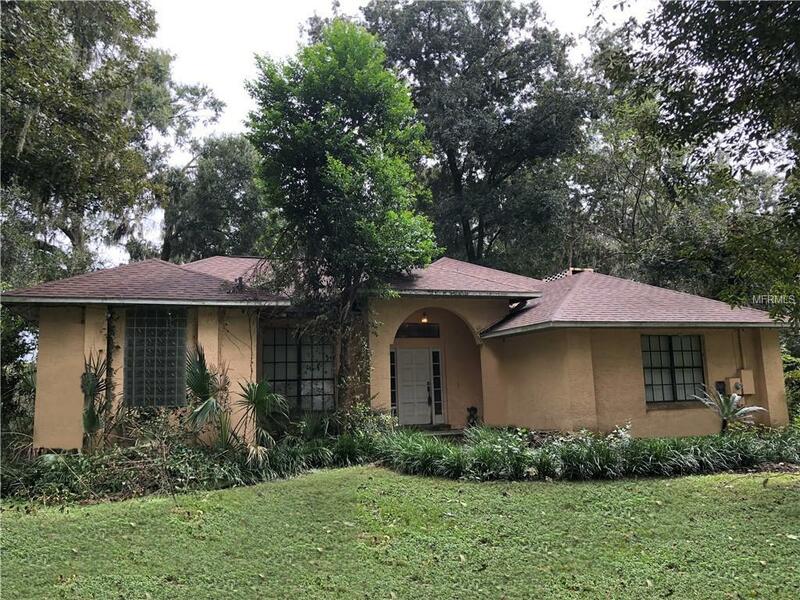 This unique property in the heart of Ocoee in fast growing West Orange County is a working horse farm. Two parcels total 11.25 acres and include a 4 BDR, 2455 sq ft main house and a separate guest house with stables on the ground floor and a 1296 sq ft, apartment upstairs. The split plan main house has a separate living room as well as a family room with a fireplace. Home has a bonus/game room. Screened pool and patio. Master bedroom has its own bath with large tub and shower and a walk-in closet. Separate apartment is a spacious 2 BDR/ 1BTH with a fully equipped kitchen and approx. 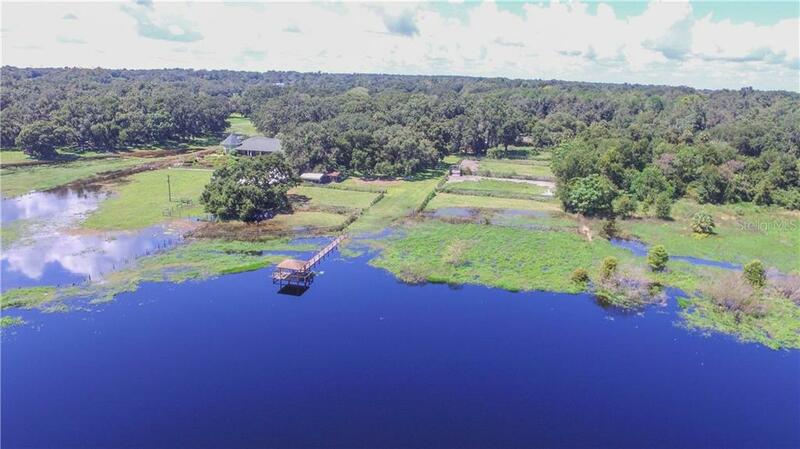 360 sq ft deck overlooking the lake.Zoned A1 - keep this property fully equipped with 8 fenced and watered paddocks, stables with tack and feed room, 70 ft round pen corral and wash rack. 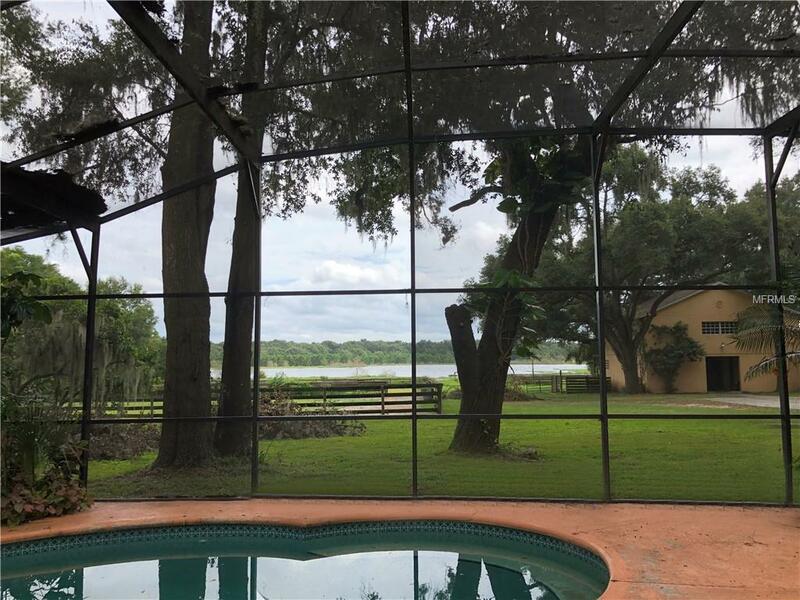 Or just kick back with privacy in a country setting that is only a 20+ minute drive from downtown Orlando. 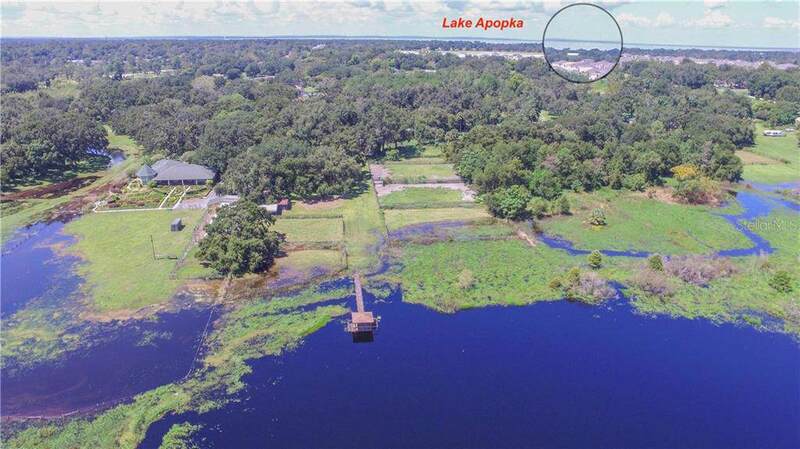 The private lake boasts some of the best bass fishing in the area and can be used for water skiing and recreation. 1.5 miles from Horseman's Park, an outstanding public equestrian park offering show rings with links to 22-mile West Orange Trail with equestrian path.See the drone video on the video tour link....Estate property - The house and guest house are in good condition - need TLC. Price just adjusted below appraisal value allows for budget for renovations. A fantastic opportunity for the right party! Room sizes are approximate.